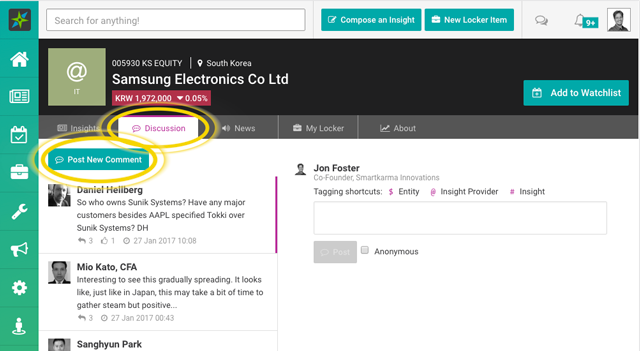 If you post directly in the Discussion Stream you can use the Tagging shortcuts to tag an Entity, Insight or Insight Provider. 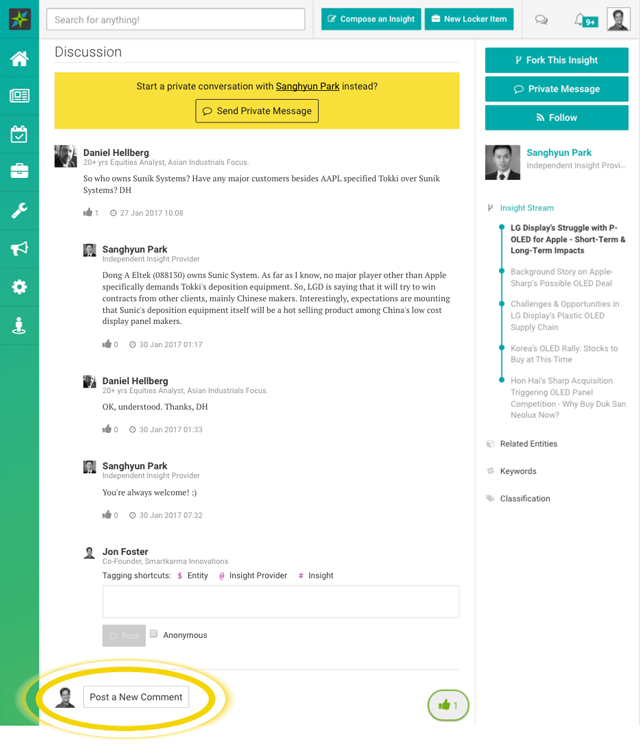 If an Entity is tagged, that comment will also appear on the Entity's Discussion page. 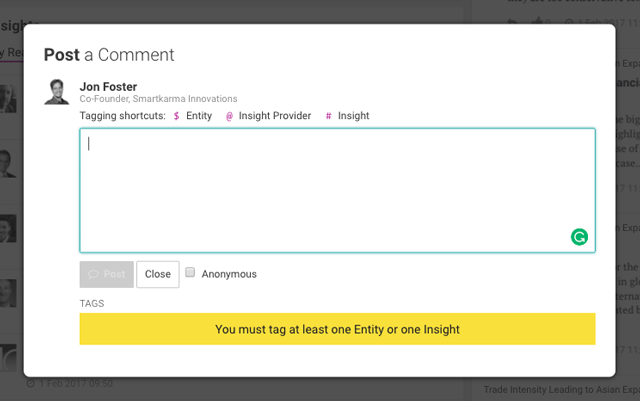 If an Insight is tagged, that comment will appear at the bottom of the insight as well. 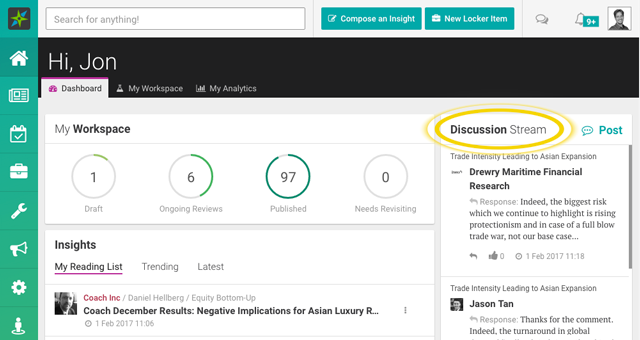 Alternatively, you can post comments at the bottom of an Insight in the Discussions section, or in the Discussions tab under the Entity page. These too will become a part of the Discussion Stream.